I’m a middle school teacher: how should I be supporting my students’ social and emotional learning (SEL)? What has decades of experience working with at-risk youth revealed about student SEL needs? How should district administrators plan and implement SEL initiatives? What are some of the ways school leaders are using student SEL data? These were just some of the questions and conversations I heard earlier this month at the second annual meeting of the Center to Promote Social Emotional Learning (CPSEL). Hosted by several Pennsylvania educational agencies, the event welcomed several hundred educators to Harrisburg for an energetic and excited exchange of inspiration and ideas for programming at every level. ACT social and emotional learning experts added our voice to these important conversations, and are excited to continue active involvement in the years to come. This event continues to grow, because it meets an important need for providing educators, researchers, policymakers, and program developers opportunities to come together to advance the work they all recognize is so important to student success. Here are some of the key highlights, based on the conversations this year. Several sessions were dedicated to the conference’s most important topic: teacher support for SEL. Savanna Flakes, a consultant from Virginia, emphasized the power of relationships between teachers and students. It begins with a personal greeting every morning, and includes assurances that classroom climates are safe and provide opportunities for students to feel successful. Keynote speaker Dr. Robert Brooks, a clinical psychologist at Harvard Medical School, spoke of his work, originating in the early 1970s, focusing on students struggling with behavioral challenges. Through poignant storytelling and a thorough review of important research in the field, he called upon and challenged educators to ensure there is a culture of “positivity” in our schools. The only way to overcome problematic behavioral patterns is to provide students with experiences and a sense of belonging, self-determination, competence—and perhaps most of all—altruistic purpose. Prioritizing SEL as a key initiative, and providing resources to that effect. Building knowledge across district leadership on the what, why, and how of SEL. Collecting and applying SEL data in a process of data-informed continuous improvement. Scaling and sustaining SEL programming. They urged districts not to move too fast but instead, adopt the motto that “slow and steady wins the race.” Rather than jumping to implement a particular program, take time to build knowledge, buy-in, and capacity across the many people and players in the work. Finally, the collection and use of SEL data at a school level was widely discussed and encouraged at the conference. It is clearly something school leaders and program developers recognize as a key element of success. ACT is pleased to be participating in what is clearly a burgeoning movement to enhance social and emotional learning in our schools. 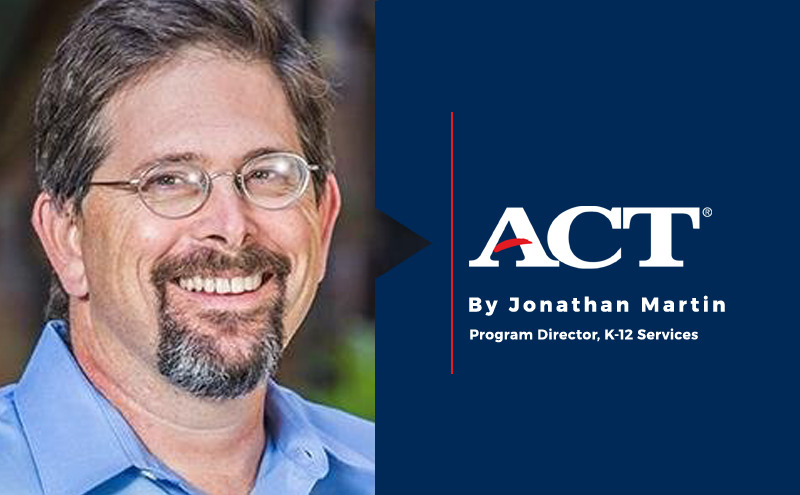 As an authority in social and emotional learning, ACT is committed to working closely with schools and districts in a wide variety of ways, from supporting basic understanding to offering tailored solutions. Our next free webinar, scheduled for Thursday, June 14, is a great way to learn more about jumpstarting SEL programming in your school or district. To learn more about the webinar, join our webinar invitation list.